This entry was posted on August 26, 2011 by joeleagle. 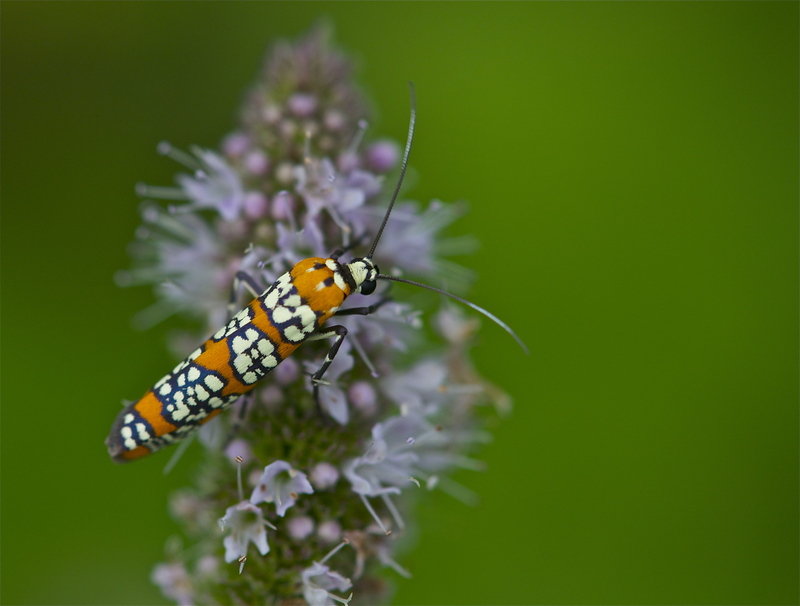 It was filed under Flowers, Insects and was tagged with Ailanthus Webworm Moth, Atteva aurea. Took a photo of one of these too, just not quite as good. Stay safe! Amazing I have never seen one of these before. Love the colors.!! !